Sneakersnstuff sells sneakers and streatwear. Sneakersnstuff opened in Stockholm, Sweden back in 1999 by two founders with long working experience within the field of sporting goods as well as being crazed sneaker collectors. 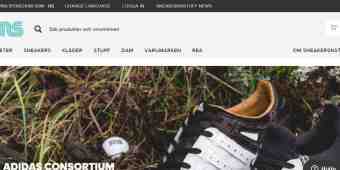 Today Sneakersnstuff have physical stores in Stockholm, London and Paris as well as an online store. Sale at Sneakersnstuff - Up to 70% off! Verified this week. Valid until further notice. Sneakersnstuff discount code not required. Sneakersnstuff offers free shipping on purchases above £100. For orders below £100, shipping to UK costs £7. Verified yesterday. Valid until further notice. Sneakersnstuff discount code not required.